The Battery powered flickering LED Tealight Candle gives you realistic fickering effect. Ideal for acent decorations for holiday celebrations,wedding ceremonies, special occasions such as birthdays and anniversaries,memorial services,church gatherings, DIY projects and more. Long-life,energy-efficient,and enviroment-friendly LED light powered by 1*2032battery replaceable button cell; Estimated to last over 100 hours with one new battery. White/color stick candle, Fluted Candle , Spiral Candle, tealight candle, Birthday Candle, Glass Jar Candle, Pillar Candle, Gel Candle , Citronella Oil Candle, LED Candle , etc. A: Yes, sample order to test and check quality. A: Yes, 1 year warranty for you. Looking for ideal Battery Powered LED Tealight Candle Manufacturer & supplier ? We have a wide selection at great prices to help you get creative. All the Flickering LED Tealight Candle are quality guaranteed. 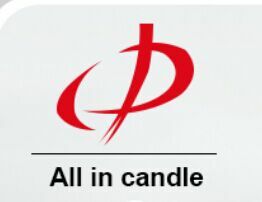 We are China Origin Factory of Flameless Led Tealight Candle. If you have any question, please feel free to contact us.